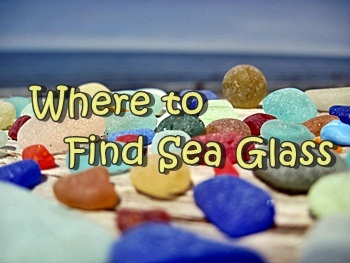 Are you interested in information on jewellery (UK spelling) made from tumbled glass found on beaches around the world? 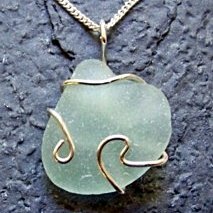 You'll find it all you need to know about beach or sea glass jewellery on this site, starting with this page. 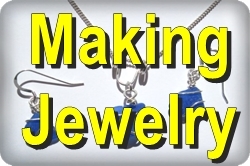 Even if you are just looking, you'll enjoy reviewing the jewellery made from beach treasures as seen on our pages as well as getting ideas to possibly make your own. These beach inspired designs are fresh and appealing. Just about everyone finds beach glass jewellery attractive. Why is that, do you think? 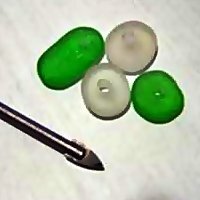 Most likely, it is that the combination of qualities of beach glass can't be found in any other jewellery medium. It is found only on beaches. It can be found by anyone with access to a decent beach and the time and desire to search for it. It has a pleasing luminosity or glow due to the effect of the "frosted" surface and diffusion of light. There is a great variety of colors (although some are very rare). 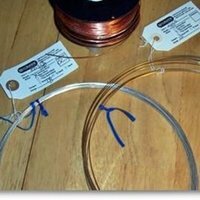 It is one of the few *environmentally-friendly types of jewellery. 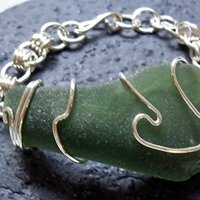 I'm sure you can think of other characteristics that make beach glass and seaglass jewellery so popular. Before the advent of the Internet, it was pretty hard for someone living away from the coasts if they were looking for beach glass jewellery. Perhaps they might come across some in a catalogue somewhere or in a magazine, but that would have been more by chance than deliberately looking for it. Probably the only way a person would have acquired jewellery made of sea shells, sea glass, or other beach inspired jewellery would have been during a vacation or site-seeing trip to the coast. 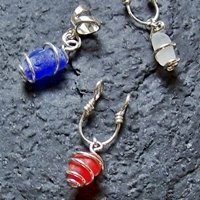 While browsing a seaside store, something along the line of beach glass jewellery could have caught their eye, and it would be bought and taken home. However, with the advent of the internet, it became easier and easier to find beach-inspired jewellery, including our favorite, beach glass jewellery. Now, it is as easy to find as a search on one of the major search engines. 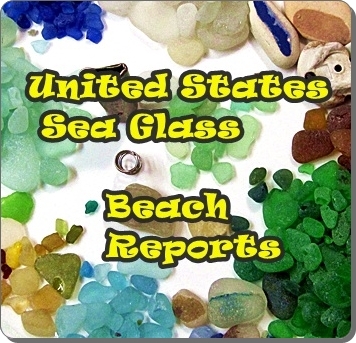 You have access to sea glass jewellery on the East and West Coasts of the United States and Canada as well as the Great Lakes regions. You even can "window shop" delightful beach glass jewellery from the United Kingdom, including England, Scotland, Wales, and Ireland. 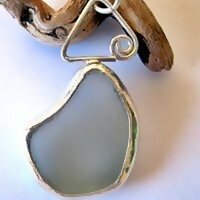 Wide Range of Beach and Sea Glass Adornments Available . 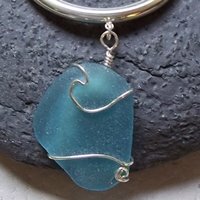 The beach glass jewellery available ranges from simple and inexpensive drilled or glued sea glass in the more common colors to exquisite wire-wrapped, bezeled and other designs using rare colors of beach glass that can range into the hundreds of dollars. 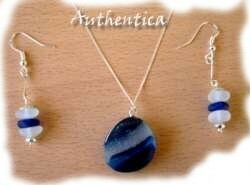 Beachglass jewellery can be made in many ways. 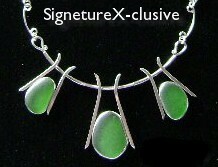 To see a discussion of the 4 most useful methods of using sea glass to make jewellery, click here. 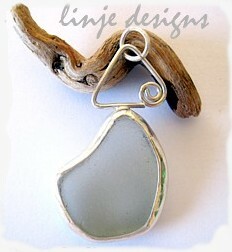 Here at Odyssey Sea Glass, Lin has her own line of wire-wrapped sea glass jewellery, linje designs. 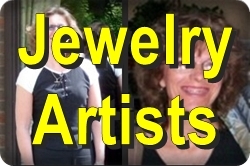 Click here to see the complete line. *Environmentally friendly (eco-friendly and nature friendly) are synonyms used to refer to goods and services considered to inflict minimal or no harm on the environment. Sea glass jewellery fits this definition perfectly! 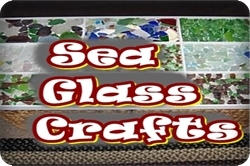 Note: Sea glass usually refers to naturally tumbled glass that's found on saltwater shores, while beachglass or beach glass can refer to the tumbled glass found on any body of water with enough wave action, such as large lakes. 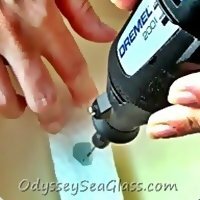 Lake glass is a term not used very often but is accurate if used for beach glass found on the large lakes such as the Great Lakes of North America.